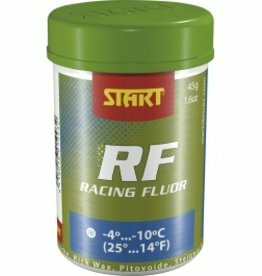 Start Racing Fluoro Kick wax is fluorinated to improve durability and kick. 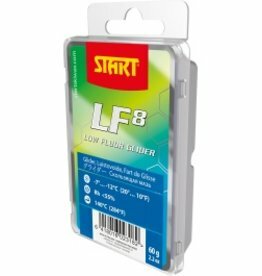 Start RF is awesome on its own or as a top finishing layer. 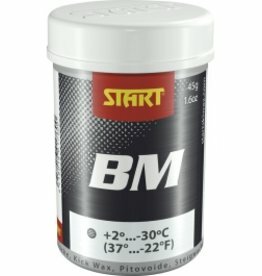 Start Black Magic uses Molybden as a detterent to help reduce dirt accumulation and icing. Used as finishing and blending waxes, suitable for wearing and variable snow conditions in a broad temperature range. Available in non-fluoro and fluoro.